The Office for National Statistics (ONS) is proposing to close its London headquarters by 2010. Under the plan, fewer than 100 workers will remain in the capital at another building, while most of the 600 staff will move to Newport, South Wales. The plan was part of a government programme to move jobs out of London, the ONS said. The Public and Commercial Services (PCS) union said it feared up to 200 compulsory redundancies. According to the union, just 250 jobs will move to Newport by 2010. However the PCS did warn that less than 150 may move from London. Under the proposal, staff numbers in London would be reduced to 340 by April next year and to between 50 and 100 by April 2010. Most posts will move to Newport with a small number going to Titchfield, in Hampshire. The move will lead to the closure of the ONS's Drummond Gate site in London. Remaining civil servants will move to the Family Records Centre in Islington. "This would reaffirm Newport as the corporate headquarters and the main site for ONS in future," a spokesman said. 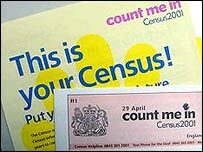 The ONS is heavily involved in the production of the census, as well as data concerning a wide range of subjects including inflation, unemployment, social trends and tourism. Its headquarters houses a mix of statisticians and support staff, a spokesman said. Union officials said that £75m had been spent on modernising the ONS. A PCS spokesman added that staff were "livid" at the proposal, and said it made the prospect of a national civil service strike more likely. Tens of thousands of civil servants are already being balloted about industrial action in a dispute over jobs and pay. "These plans are unnecessary, ill thought out, and will undermine the quality of the statistics that the government base new initiatives and policies on," PCS general secretary Mark Serwotka said. "With compulsory redundancies likely on a far larger scale than ever before, today's announcement will anger staff, stiffen their resolve and increase the likelihood of a civil service wide strike. "If the government are to avoid a conflict with its own workforce then it needs to move swiftly in giving assurances over jobs and services."